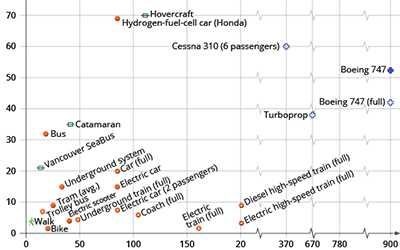 Most public transport in Aotearoa is fossil-fuel powered. 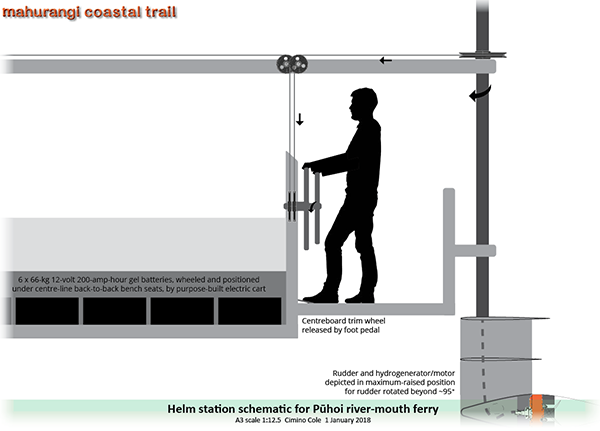 But that would not excuse a fossil-fuelled ferry forming a key component of the Mahurangi Coastal Trail. Fortuitously, as described in Minimum Impact 100% River-Powered, a fossil-fuel-free solution is available for crossing the Pūhoi River Mouth. But that leaves, both short- and long-term, serious gaps in the zero-carbon-coastal-trail strategy, which, to be meaningful, must begin at the metropolitan transport terminus, at Waiwera. That the region’s fleet of ~3000 buses is 100% fossil-fuelled—its first two e-buses late for their late-2017 debut—may be lamentable, but even diesel-powered public transport beats the private car hands down, in the greenhouse-gas-emissions-reductions stakes. In a perfect world, the trust would only need to take responsibility for walkers once they reached the Pūhoi River Mouth. But the regional parks network, as magnificent as it is, was conceived in the 1950s when Auckland’s planners were besotted by a motorway-centric vision of the future, where the ideal involved spreading the picnic blanket within the new-car smell of the family’s pride and joy. Although a bus stop is within 365 metres of its boundary, only a handful the quarter of a million who visit Wenderholm Regional Park annually do so by public transport. By instituting a ferry service, but without changing anything else, the trust would significantly add to the number of cars shoehorned into Wenderholm. The Northern Busway has definitively demonstrated that where patrons are provided a superior service to that which is available by car—sat fuming in bumper-to-bumper traffic—they vote with their feet and cheerfully climb aboard. The same approach would indubitably work for Te Muri, which, of course, will be the objective of the overwhelming majority of coastal trail users. A shuttlebus operating from bus stop 4778 to within a level 564-metre stroll of the Pūhoi River Mouth ferry would favour public transport users over those arriving by car, who, on busy days, would be lucky to park within 1.2 kilometres of it. And, with one make of 7-seater all-electric vehicle already available, for around $44 000, by the time the coastal trail opens in the summer of 2019–2020, a range of electric 12-seaters will be available from which the trust will be able to choose. So far so electric. But unlike the river-mouth ferry, where it is planned to hydro-generate the electricity needed for slack-water operation on site, there will be little or no surplus, and the shuttlebus will need recharging with grid power. However, unlike Australia, with only 17% of its electricity renewable, New Zealand’s grid power is low-carbon, and could readily be zero-carbon. 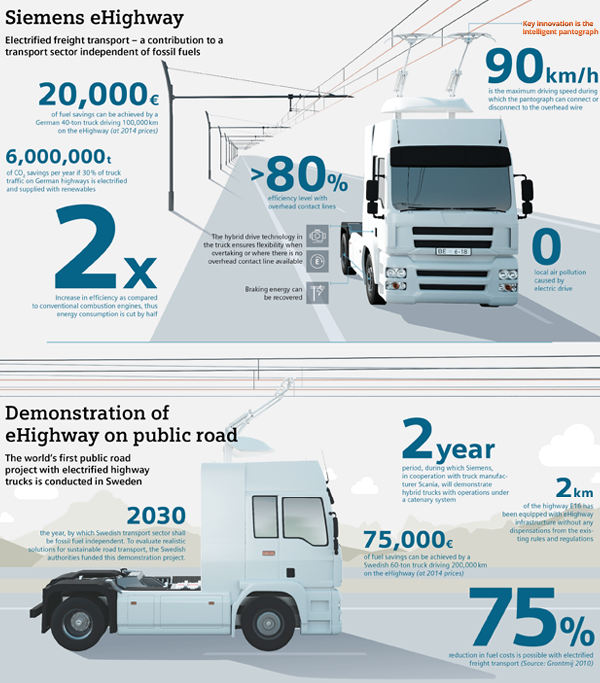 The morally courageous route would be to become an early adopter of advanced-small-modular nuclear, and to aggressively electrify not only public transport, but everything from ports to airports. But short of nuclear power, which fortunately for the rapidly diminishing prospects of preserving a survivable climate, China is building out at an unprecedented rate, Aotearoa does, by international standards, produce a high percentage of low-carbon electricity, although it will struggle to regain the halcyon 90% of the 1970s, by the Clark government’s target of 2025. Meantime, operating the Pūhoi River Mouth ferry will be an expensive undertaking, and it is axiomatic that it is an affordable option for all park visitors. That dictates that the vessel, after it goes off duty at say 6 pm, is available for the lucrative work of running group excursions to Pūhoi. For this the ferry will need to be recharged from the grid overnight, so as to be able to resume its primary role at the river mouth, first thing in the morning. It would be perverse in the extreme to disdain grid power simply to claim that not a watt of it ever sullies the ferry’s 100% tidal-river-powered reputation. The not uncommon view that grid power is the nemesis of renewable power, is a symptom that solar has eclipsed the existential imperative to rapidly, radically reduce anthropogenic greenhouse gas emissions, by the most pragmatic means available. Although the coastal trail could be more than justified if it all it achieves is that Te Muri is kept car-free, its heroic long-term objective is to facilitate walking the Mahurangi coastline. For this a cross-harbour ferry service is required, and for the same reason that the Wenderholm ferry will need grid power, the Mahurangi ferry will need to start each morning fully charged, and no more so than on the Sunday of Auckland Anniversary weekend, after spending the late evening ferrying folk back to Mahurangi West from Scotts Landing. While Norway has successfully introduced battery-electric ferries, the inaugural routes are less than six kilometres. These vessels, and the all-electric 2000-tonne cargo ship launched in November to operate on the Pearl River, with an 80-kilometre range, all use lithium-ion batteries. The Chinese vessel, with hideous irony, was built to carry coal for coal-fired power stations. Meantime, while there is much talk of a pending revolution towards zero-carbon shipping, it is telling that the International Chamber of Shipping is working overtime to manage expectations and to scare off any moves to impose curbs on maritime emissions. 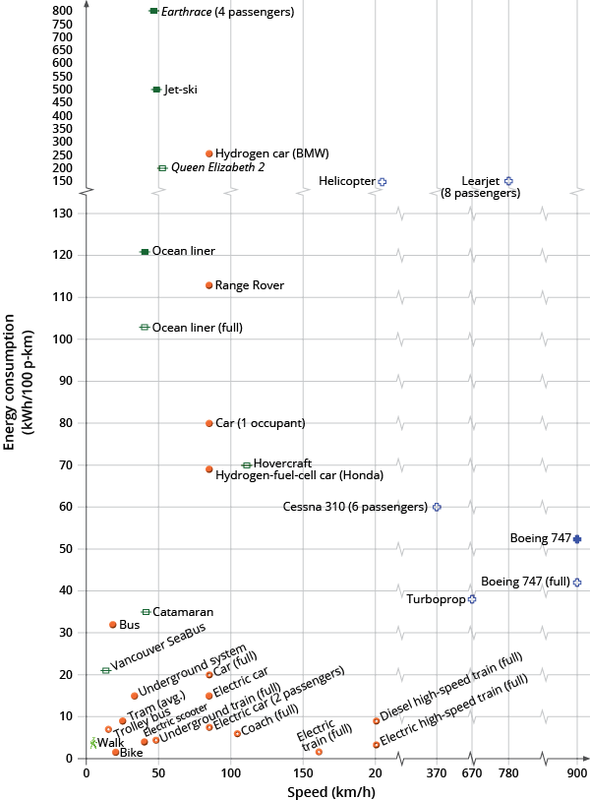 …in contrast to wheeled vehicles, which can get more efficient the slower they go, planes are already almost as energy-efficient as they could possibly be. 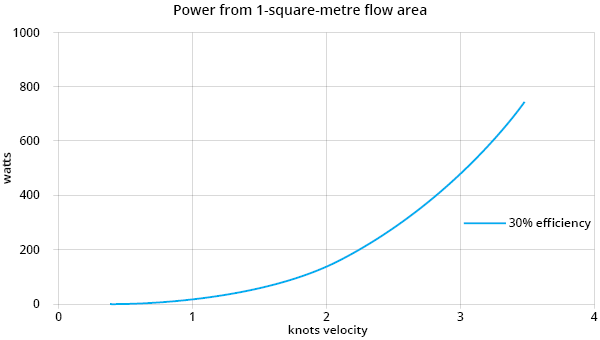 Planes unavoidably have to use energy for two reasons: they have to throw air down in order to stay up, and they need energy to overcome air resistance. No redesign of a plane is going to radically improve its efficiency. A 10% improvement? Yes, possible. A doubling of efficiency? I’d eat my complimentary socks. Have no illusions. To achieve our goal of getting off fossil fuels, these reductions in demand [for fossil fuels] and increases in supply must be big. Don’t be distracted by the myth that “every little helps.” If everyone does a little, we’ll achieve only a little. We must do a lot. 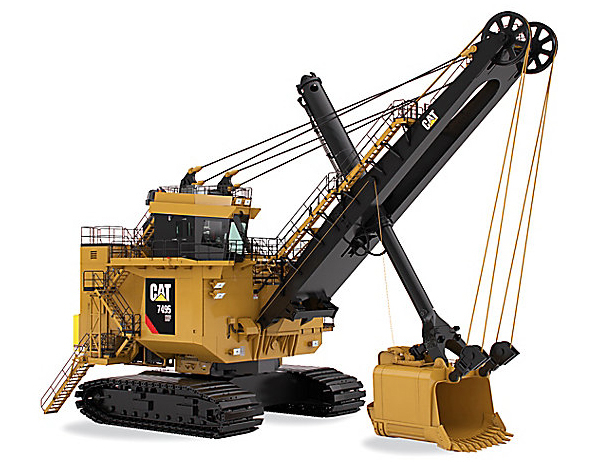 What’s required are big changes in demand and in supply. Ten years on, Professor MacKay’s ‘every big helps’ has not prevailed, but equally dangerous is the notion that even big changes will stop global warming in its tracks. Just the greenhouse gas emissions to date have set the cryosphere on a trajectory that will see sea-level rise continue for not hundreds, but thousands, of years. Politicians now abound who are prepared to declare that global warming is the moral issue of the century. That is reassuring only to those with a shallow appreciation of the near-Sisyphean task of decarbonising every aspect of contemporary civilisation, in a tiny fraction of the time elapsed since fossil-fuelled industrialisation began. A meaningfully-low-carbon-Mahurangi Coastal Trail demonstration may or may not help one or two political leaders to rise to the challenge, but at least it has to be tried. It behoves the New Zealand reputation for innovation, for Aotearoa to not remain a smug bastion of zero-carbon-energy ignorance.